Radio Republica transmits a message of love and liberty, and promotes free expression of the Cuban people. Offering news, debate, and entertainment, Radio Republica is the new alternative for Cubans. La República is the voice of a nation that struggles, of a nation that is greater than what the tyranny leads it to believe. This newspaper is an instrument of struggle, it is like a hammer or a screw driver or a paintbrush. In spite of the repression in Cuba, the Cuban people have continued their struggle for freedom, entering a new stage of civic resistance that consists of non-cooperation with the dictatorship. 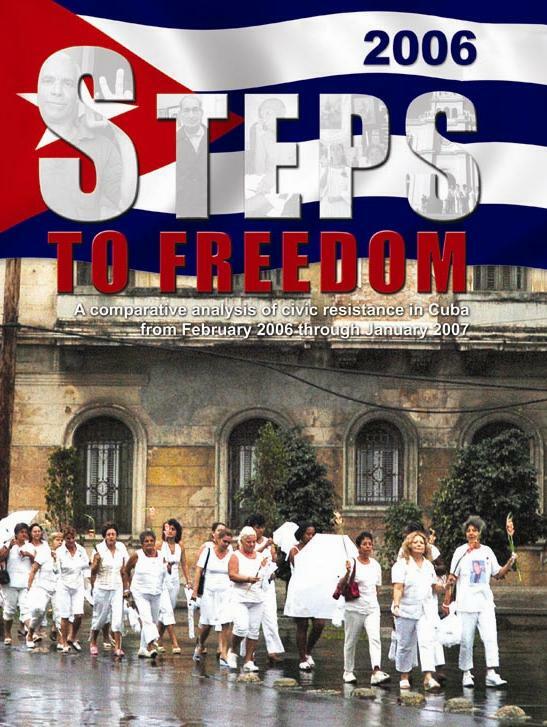 This call of the Cuban people for non-cooperation is seen from inside the island in the numerous calls of Cuban political prisoners from different prisons to non-cooperation with the dictatorship; in the neighbors who refuse to participate in the acts of repudiation against the opposition; in the non-cooperation of Cuban workers with the production goals imposed by the dictatorship, as the government media admits; and in the growing appearance of signs calling for non-cooperation with the dictatorship. "Those of us who are conscious of what the remedy is for the affliction of our country and who are willing to employ it without fear of daily reprisal must exhort our countrymen through example and solid arguments not to cooperate with him who causes such hardship and pain. We must constantly invite our brothers to demand respect for their fundamental rights. A tyrant, as powerful as he may be, cannot govern without the consent of the governed. We must all ask ourselves: "Why must I belong to organizations whose primary end is to uphold tyranny? Why must I participate in false elections that only benefit my people's oppressor? And why play along with him who causes so many hardships? Why fear exhorting my fellow citizens to do what is right? Why will I not say what I think? Why will I not join those who struggle for a better future for all? Why not participate in undertakings aimed at getting out of the economic, political and social crisis through which the country is going? Why not publicly manifest my discontent? Why not denounce injustices and protest against them if they are my universally recognized rights, if my conscience and my duty demand it?" José Daniel Ferrer García From Kilo 8 Maximum Security Prison, Camagüey, member of the Christian Liberation Movement, Varela Project Coordinator, and prisoner of conscience sentenced to 25 years in jail in the black spring of 2003 for defending the human rights of every Cuban. "Youth and adults, workers and professionals, military and Cuban citizens should refuse to continue cooperating with an unjust system and deny participation in repressive acts organized by the regime's repressive machinery and launched cowardly against peaceful opposition members who defend your human rights and dignity. Cubans, don't allow yourself to be an instrument that maintains the parasitic and privileged caste that oppresses and discriminates against you. We invite you to not cooperate with the repression. Furthermore, to join those who defend your human rights, justice, and struggle from a free, pluralistic, and prosperous society." Jorge Luis García Pérez Antúnez from the Kilo 7 Prison in Camagüey, Cuba, prisoner of conscience. "A nation is not the will of a single man, group or party. A nation is composed of many wills. A nation is the right to rights, to liberty, to diversity of ideas, and free opinions. A nation is the common good of all its citizens. This is only possible in democracy, not in the will of one man, one party or dictatorship. Let's say NO to the will of one man, group or dictatorship. Let's leave fear behind, hope will come. Let's go out to the streets in search of the truth which will set us free. Let's claim our right to rights. And thus a new justice will come that will bring us peace, prosperity, liberty, and democracy in a new Cuba. Let's go out to the streets in search of the truth, and that is how we will achieve liberty." Ricardo Pupo Sierra from the Ariza Provincial Prison, political prisoner, and activist of the Pro Human Rights Party of Cuba.